The back is where it's at. 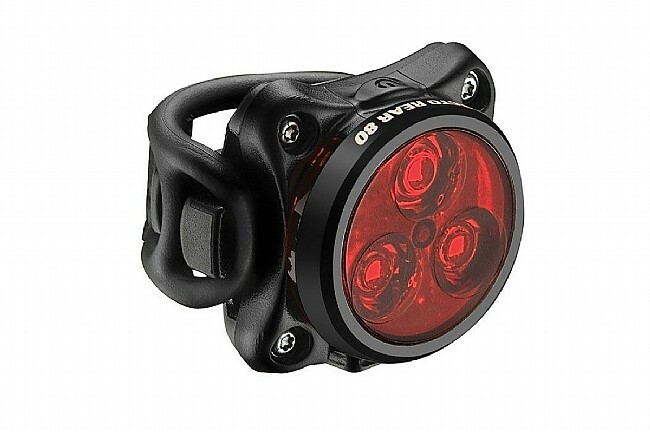 Lezyne hones their light-building skills with their Zecto Drive lights, housing 3 LEDs putting out a maximum of 20 lumens in a lightweight and durable composite matrix / CNC-machined aluminum housing. Its compact form factor is helped along with a removable rubber attachment strap for hooking around seatposts, but an integrated clip system means you can just as easily slip it onto a bag or a shirt. 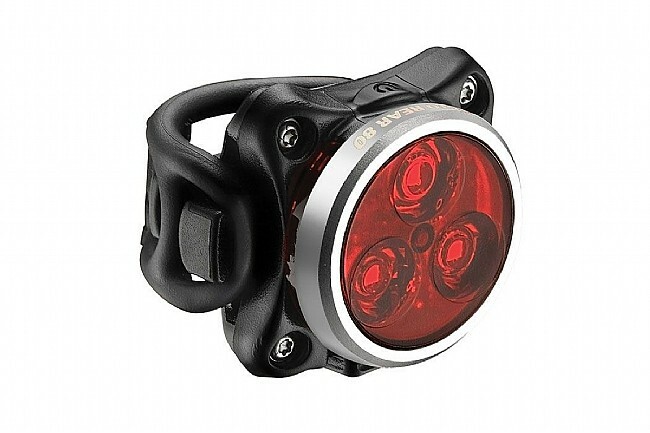 For excellent side-visibility, smaller multi-colored LEDs illuminate the edges, and they also serve as battery indicators, which you can check when the light is off with just a press of the power button. The Zecto can be recharged in an estimated 2.5 hours using the included Micro USB power cable, and the light is weatherproof so you can be sure you'll be lit up in even the most tempestuous weather. Claimed weight is 47 g.